Robert Richardson was Senior Vice Provost for Research Emeritus at Cornell University (2008-2013). His research interests included low temperature helium research, nuclear magnetic resonance, and cryogenics. In 1996, Richardson, David M. Lee, and Douglas D. Osheroff were awarded the Nobel Prize in Physics "for their discovery of superfluidity in helium-3." June 26, 1937 – February 19, 2013Birth, Washington (D.C.). 1958Obtained BS in Physics, Virginia Polytechnic Institute, Blacksburg (Va.). 1960Obtained MS in Physics, Virginia Polytechnic Institute, Blacksburg (Va.). 1966Obtained PhD in Physics, Duke University, Durham (N.C.). 1966 – 2013Research Associate (1966-1967); Assistant Professor to Professor of Physics (1968-1987); F. R. Newman Professor of Physics (1987-2013); Director, Laboratory of Atomic and Solid State Physics (1990-1996); Vice Provost for Research (1998-2004); Senior Vice Provost for Research (2004-2007); Senior Science Advisor to the President and the Provost (2007); and Senior Vice Provost for Research Emeritus (2008-2013), Cornell University, Ithaca (N.Y.). 1979 – 1984Member (1979-1984) and Chair (1981-1984), Commission C-5 (Very Low Temperatures), International Union of Pure and Applied Physics. 1981Fellow, American Association for the Advancement of Science. 1981Awarded Oliver E. Buckley Condensed Matter Prize, American Physical Society. 1986Member, National Academy of Sciences. 1989 – 1992Chair, Physics Section, National Academy of Sciences. 1994 – 2004Member (1994-2004) and Vice Chair (1997-2004), Board on Physics and Astronomy, National Research Council. 1995Fellow, American Academy of Arts and Sciences. 1995Chair, Division of Condensed Matter Physics, American Physical Society. 1996Awarded Nobel Prize in Physics with David M. Lee and Douglas D. Osheroff for the "discovery of superfluidity in helium-3". 1997 – 1999Vice Chair US Liaison Committee, Commission C-5 (Very Low Temperatures), International Union of Pure and Applied Physics. 1997 – 2003Member (1997-2003) and Member, Executive Committee (2001-2003), Board of Trustees, Duke University. 1998 – 2004Member (1998-2004) and Member, Executive Committee (2000-2004), National Science Board. 1998 – 2007Member, Board of Directors, Brookhaven Science Associates. 1999 – 2002Chair, Physics Planning Committee, American Physical Society. 2000 – 2004At Large Member, Commission C-5 (Very Low Temperatures), International Union of Pure and Applied Physics. 2000 – 2004Member, Board of Directors, American Association for the Advancement of Sciences. 2000 – 2005Secretary (2000-2003) and Chair (2003-2005), Class I (Mathematical and Physical Sciences), National Academy of Sciences. 2002 – 2004Member, Executive Committee for Senior Research Officers, American Association of Universities. February 19, 2013Death, Ithaca (N.Y.). Received 1996 Nobel Prize in Physics along with Douglas D. Osheroff for discovery of superfluidity in helium-3, and both employed at Cornell University. Received 1996 Nobel Prize in Physics along with David M. Lee for discovery of superfluidity in helium-3, and both employed at Cornell University. Research Associate; Assistant Professor to Professor of Physics; F. R. Newman Professor of Physics; Director, Laboratory of Atomic and Solid State Physics; Vice Provost for Research; Senior Vice Provost for Research; Senior Science Advisor to the President and the Provost; and Senior Vice Provost for Research Emeritus. Fellow and Member, Board of Directors. 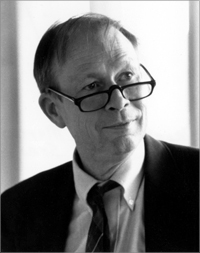 Fellow; received 1981 Oliver E. Buckley Condensed Matter Prize; Chair, Physics Planning Committee; and Chair, Division of Condensed Matter Physics. Member, Executive Committee of Senior Research Officers. Member, Board of Trustees, and Member, Executive Committee, Board of Trustees. Member, Chair, Vice Chair US Liaison Committee, and At Large Member, Commission C-5 (Very Low Temperatures). Member; Chair, Physics Section; Secretary and Chair, Class I (Mathematical and Physical Sciences). Member and Vice Chair, Board on Physics and Astronomy. Member and Member, Executive Committee. Obtained BS (1958) and MS (1960). Nobel Voices Videohistory Project collection, 2000-2001. Robert C. Richardson papers, 1962-1967. Video Interviews with Nobel Prize Winners in Physics, 2004-2006. Robert Richardson Nobel Prize Autobiography. Robert Richardson Cornell Chronicle obituary. Robert Richardson National Academy of Sciences Biographical Memoir. Robert Richardson New York Times obituary. Robert Richardson Physics Today obituary.